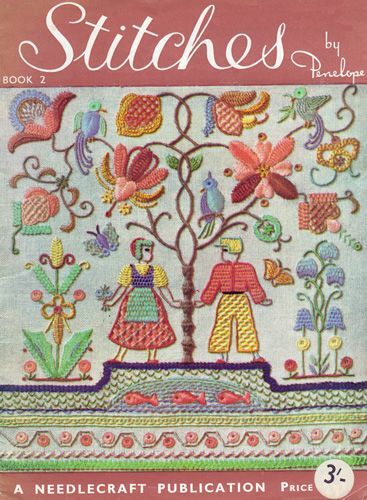 This is the second book in the Stitches by Penelope Series (you can download the first book here), with 56 more advanced stitches for you to learn. That’s a total of 134 stitches in both books! 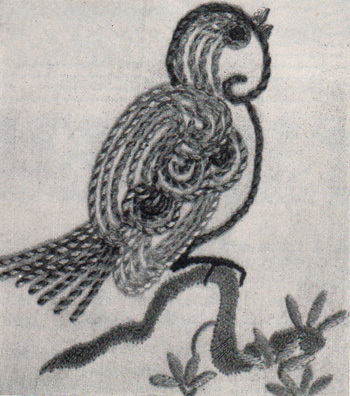 This booklet includes a stitch guide for embroidering the sampler on the cover. The sampler was originally available as an iron on transfer but the stitch guide is detailed enough that you could trace it and enlarge it to your desired size without any problem. The stitches in this booklet cover everything from Arrowhead stitch, all the way to Zig-Zag Coral stitch. Download Stitches No.2 by Penelope.